Many lawyers work towards diversity in the profession, but few have lived it in the way that Ruthe Ashley has. She is past president of the National Asian Pacific American Bar Association, and when she worked at CalPERS (the largest public pension fund in the United States), she founded and served as CEO of CaliforniaALL, a nonprofit formed to close the achievement gap for California students. 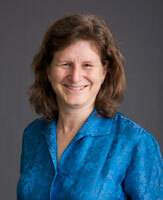 Ruthe is the past president of Legal Services of Northern California. Until just over a year ago, Mary Alice had served for years as the top lobbyist for the American Association of Law Libraries, advocating for information policy before the federal government. But in 2011, she was appointed to serve in a top role in the GPO, setting policy and strategy for the Government Printing Office and implementing President Obama’s Open Government Directive. Now she’s making information policy for the federal government. Mary Alice is also a founding member of OpenTheGovernment.org (OTG.org), an organization created to promote democracy and end Government secrecy. Tom Boone is part librarian, part designer, part pop-culture tastemaker. He is the vanguard of a new generation of law librarians who aren’t afraid to get their hands on the code. Tom has taught information professionals for years how to use Cascading Style Sheets, Drupal, the social web, eBooks, and other tools to connect people and organize information better, smarter, and faster. The Internet allows us to comparison shop for most things – why not legal services? This insight led Mark Britton to found Avvo, which is one part Martindale Hubbell, one part Amazon, and one part Red Bull: a site that hosts profiles of lawyers (and recently, doctors), with ratings and reviews from clients. 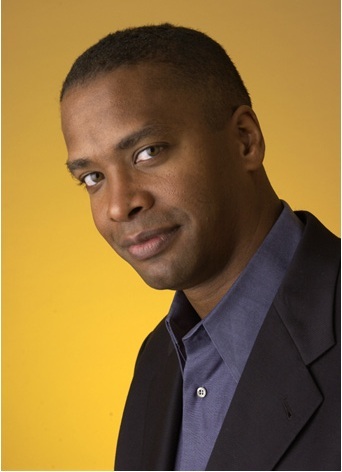 Mark previously served as executive vice president of Worldwide Corporate Affairs of InterActiveCorp Travel (IACT) and Expedia, Inc., where he had responsibilities for companies such as Expedia, Hotels.com, and Hotwire. He currently serves on the Board of Directors of Orbitz. Greg Castanias is charged with creating a single library culture at Jones Day, a firm with 30 offices around the globe. But he has been recognized more for his speaking and writing about how broken the legal publishing business is, and how out of alignment its billing is with the economics of law firms and their clients. Greg has advocated greater transparency and understanding in the bills of legal publishers, as well as an ethic rooted in great customer service. 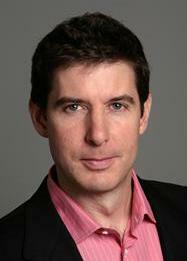 David Drummond manages one of the world’s largest and most active legal teams as Google’s head lawyer. He represented the company as its first outside counsel in 1998, when he worked at Wilson Sonsini Goodrich and Rosati, and he joined Google full time in 2002. Today David manages one of the largest patent portfolios, active M&A practices, largest litigation dockets, and largest legal teams in America. Jason Eiseman might have the coolest legal information job in America, the Librarian for Emerging Technologies at Yale Law School. Jason thinks about what lies ahead, and how we can use it intelligently to make our legal lives easier – then he teaches others. Jason has done extensive work on eBooks, and how they might change legal publishing. At one point in the life of all technology, it was an emerging technology – and for each emerging technology, there was a time when Tom Fleiming has spoken or written about it, introducing it to communities of information professionals. Tom literally wrote the book on how to manage a law firm library. Professor Jerry Goldman has brought the U.S. Supreme Court closer to everyone through the OYEZ Project, a project that brings the Supreme Court alive through images, audio, and video. Jerry has collaborated with experts in linguistics, psychology, computer science and political science with contributions by the National Science Foundation to create a complete archive of 50 years of Supreme Court audio. And in recent years, Jerry and Oyez have put the Supreme Court in your pocket, with mobile apps Oyez Today and Pocket Justice. Matt Homann has been asking hard questions. What really sets you or your firm apart from others? If your client could design your bill, what would it look like? Matt writes, speaks, and hosts retreats designed to help lawyers deliver a more service-like service. He also hosts the annual LexThink.1 conference (formerly Ignite Law) at ABA Techshow, a series of short talks about big topics in law, with slides advancing every 30 seconds. You can find Matt’s thoughts and inspirations at his blog, the [non]billable hour. Denise Howell is one of the pioneers of legal news on the Web. She is the host of the webcast This Week in Law, one of the first and best web podcasts about legal news, and she writes for ZDNet’s Lawgarithms blog. In addition, Denise’s blog Bag and Baggage was one of the first legal blogs in 2001. The Huffington Post has named Denise one of the “Women in Tech You Need to Follow on Twitter,” and did we mention that she also maintains an appellate, IP, and tech practice at the same time? As much as lawyers love legal research online, they have traditionally favored statutes in print. Waldo Jaquith is about to change that. Waldo is the founder of The State Decoded, which is designed to make state codes “for humans.” Waldo has created a beautiful version of the Virginia Code, and the Knight Foundation has awarded him a grant to abstract his code for use in other states, cities, or other countries. If you’d like to see what the future of statutes or other codes might look like, The State Decoded would be a good place to look. William S. Hein, Jr. CEO, William S. Hein & Co.
Few companies have exemplified the transition from print to digital quite like William S. Hein & Co. A bindery and printer with roots in the 1920s, Hein has grown through acquisition and expanded strategically over the years. Beginning with some of the best law review titles in the business, Hein expanded first to microfilm, and now to its flagship online product, Hein Online. Today, Hein’s eponymous business, handed down from the founder to his son Bill Hein, Jr., serves every law school in America, and customers in more than 150 countries. It might not be true that everything Rick Klau touches turns to gold, but you could forgive people for thinking so. Rick runs the Startup Lab at Google Ventures, where he connects companies in which Google invests with resources at the company. 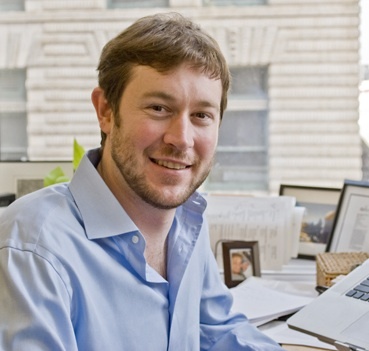 After law school, Rick worked at Feedburner before it was acquired by Google. At Google, he has worked on some brands you’ve heard of: Blogger, Google+, Google Scholar, and YouTube. 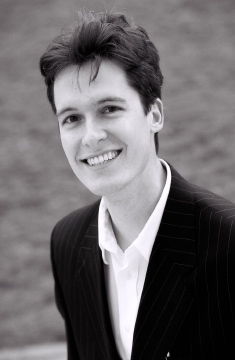 He also ran the campaign weblog for 2004 Senate candidate Barack Obama. Maybe everything he touches does turn to gold? Marcia Koslov is reimagining what a public law library should be in the digital age. 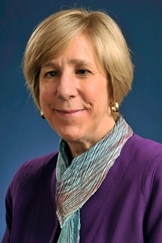 It is not a small experiment, as she is at the helm of LA Law Library, the second largest public law library in the United States, with nearly 1 million volume equivalents in the main branch in the L.A. Civic Center and four satellite branches in courthouses around Los Angeles. 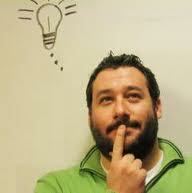 Mitch Kowalski is an innovative thinker, lawyer, writer and entrepreneur. He is the author of the critically acclaimed, ABA best seller “Avoiding Extinction: Reimagining Legal Services for the 21st Century” and frequently speaks with legal managers about re-engineering the practice of law for today’s digital marketplace. Mitch teaches the next generation of lawyers and industry leaders about legal innovation through courses at the University of Ottawa Law School and at Western University Law School, and he blogs regularly on legal innovation for Slaw.ca. Susan Cartier Liebel is filling an unlikely, but unmistakable gap in legal education: teaching about the practice of law. Her Solo Practice University offers more than 600 courses from more than 55 faculty members on the practical how-to’s of running your own law firm. With a record number of lawyers entering practice for themselves, and with little or no instruction from law school on how to run a law practice, SPU may be more important than ever. Many writers take a judge’s neutral, dry, and impersonal tone when writing about the law. 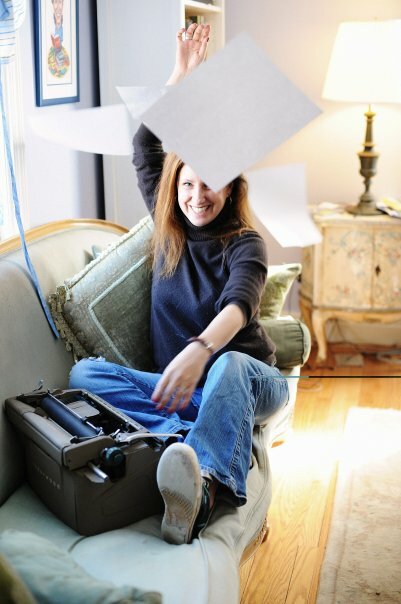 But Dahlia Lithwick’s writing for Slate sings, finding human angles and deeper reporting on legal news and trends. Her writing is as informative as it is (dare we say) fun. And her pioneering work on a unified theory of muppetry (are you an “order muppet” or a “chaos muppet”) is among the most shared and discussed articles of this year. 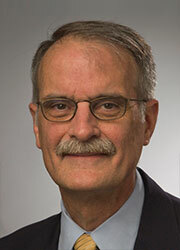 Peter Marin co-founded the first law site on the Internet, Cornell's Legal Information Institute (LII). He’s served as dean of Cornell Law School and led it into the digital age and or over a quarter century. In a larger sense, Peter is the Dean of the legal internet. Peter’s focus is addressing online access to electronic court records, the importance of print-independent citation methods, replacement of print for “official” case law publication, and major institutional factors that have inhibited court innovation in the U.S. If legal tech had Jedis, Elmer Masters would be Mace Windu (the Jedi played by Samuel L. Jackson). Elmer Masters builds tools that bring the law to law school. He is the engineer in chief at the Center for Computer-Assisted Legal Instruction (www.cali.org) where he works on interesting projects like eLangdell (elangdell.cali.org), Classcaster (www.classcaster.net), and the Free Law Reporter (www.freelawreporter.org). 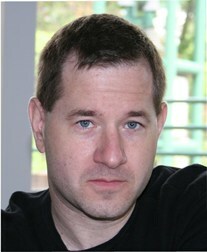 He has nearly 20 years experience in building Internet tools for accessing law and legal materials on the Internet. He has presented at The CALI Conference for Law School Computing, the American Association of Law Libraries and American Association of Law Schools annual meetings, the International Conference on SubstantiveTechnology in Law School and Practice (SubTech) and EduCause. Mark Mathewson is at the nerve center of one of the country’s largest state bar associations, as director of publications for the Illinois State Bar Association. 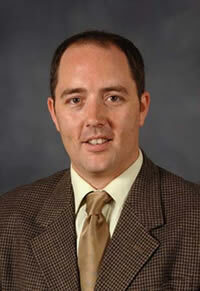 A lawyer and journalist, Mark has been recognized with the E.A. “Wally” Richter Leadership Award from the National Association of Bar Executives for outstanding achievement in the field of communications. Mathewson is an award-winning bluegrass singer-songwriter, a former radio personality, and playwright. Legal technology is changing faster than ever, and for lawyers, there are precious few people to whom they can turn for guidance. Erik Mazzone brings order to the chaos, advising North Carolina lawyers on how most effectively to structure and run their practices, as well as how to gadget up when the need arises. Erik’s influence extends well beyond the Tarheel State – he is invited to speak around the country, because is the E.F. Hutton of software: when Erik talks, people listen. Law school is a strange investment. Where else do you spend upwards of $150,000 with so little information about what you’re purchasing? Kyle McEntee is looking to change that. He is the executive director of Law School Transparency (LST), which seeks to create consumer-based reforms to the law school market. For example, LST has asked law schools to fork over their (now private) National Association of Legal Placement rankings so that prospective students can better evaluate their options. Why should critical thinking begin only after law school begins? "Lubuto" is a word in the central African Bemba language meaning "knowledge, enlightenment, and light." 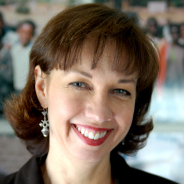 What better name for the library project begun by librarian Jane Kinney Meyers, which has established open-access libraries to serve Africa's poorest children? The project began as "street kids library" at a drop-in shelter in Lusaka, Zambia, built from a used 20-foot shipping container. From there, the project created three model libraries in Zambia that contained pre-packed complete collections of children's books. The libraries are designed to give hope to kids whose futures have been devastated by the AIDS crisis in Africa. Michael Mills practically invented the modern role of Chief Knowledge Officer, serving in the role at Davis Polk & Wardwell for more than 20 years. As an encore, Michael is helping to reinvent lawyering with Neota Logic, software that allows lawyers to build expert systems. As the access to justice gap widens and legal costs climb, expert systems may be one of the most promising ways to bridge the gap. Michael has deep connections with other Fastcase 50 winners this year – Neota Logic was the platform of choice among law students in the Iron Tech Lawyer Competition conducted by Tanina Rostain and Roger Skalbeck, and he is the vice chair of Pro Bono Net with Mark O’Brien. 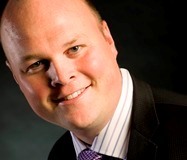 Jack Newton is one of the pioneers of cloud-based practice management. 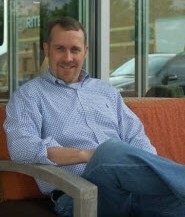 He frequently writes, presents, and educates others on mobile lawyering. Jack serves on the board of the International Legal Technology Standards Organization (ILTSO), where he’s helping craft standards for law office technology. He also co-founded and is acting President of the Legal Cloud Computing Association (LCCA), a consortium of leading cloud computing providers with a mandate to help accelerate the adoption of cloud computing in the legal industry. Together with his fellow Fastcase 50 award winner Larry Port, Jack practically invented cloud computing for lawyers. Lawyers were initially skeptical about matter management in the cloud, but it is in part because of his effective advocacy, and his ethical stewardship, that lawyers trust their matters to the cloud. Why should every legal aid organization in the country build and re-build the same software systems to meet recurring needs? Mark O’Brien founded and leads Pro Bono Net, a nonprofit that addresses this problem by powering legal aid organizations across the country. Pro Bono Net’s work promotes legal work in the public interest (its Pro Bono Manager software is used by many of the country’s largest law firms to coordinate their pro bono work), as well as helping legal aid organizations provide terrific service that scales to meet the need. Sabrina Pacifici was a "first mover" of legal tech. For 20 years, she served as the Director of Library and Research Services at the Washington office of Sidley Austin. 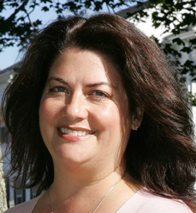 After creating and serving as publisher of the journal PLL Perspectives in 1989, she pivoted in 1996 to create the Law Library Resource Exchange, or LLRX.com — the definitive online reference guide for legal research. Technolawyer's Neil Squillante has summed it up best: "Just as James Brown was the hardest working man in show business, Sabrina Pacifici is the hardest working woman in legal research." Occasionally, scientists will share a Nobel Prize in Physics, when scientist across the globe create something awesome at the same time. And something akin to this happened a few years ago in cloud-based practice management. Larry Port co-founded Rocket Matter, one of the first cloud-based practice management platforms for lawyers. Larry’s direct and funny style helped him to build Rocket Matter into a national householdname – and Rocket Matter is used by lawyers everywhere to organize their practice more efficiently and productively. 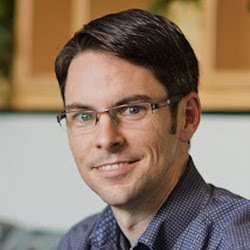 Michael Poulshock builds legal decision systems for Oracle, helping people model things like legislation, and is a resident at the CodeX project at Stanford Center for Legal Informatics (a multidisciplinary skunkworks lab for legal software). 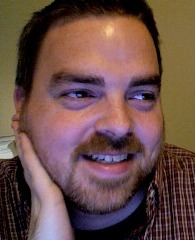 Michael built Jureeka, a Firefox plugin that connects law on the Web to different sources of law online, effectively exposing a layer of the legal Internet. Michael is working on the Hammurabi Project, an ambitious effort to code-ify statutes or regulations as executable computer code, or rule-based information systems. Keith Rabois is the Johnny Appleseed of technology in Silicon Valley, holding senior leadership roles at PayPal, LinkedIn, Slide, and most recently, mobile payment platform Square. He has been called a Secret Silicon Valley Super Angel for his tech investments in the Bay Area. Before working and investing in tech companies (he was an early investor in YouTube also), he practiced law at Sullivan & Cromwell. Recently, he has advised businesses to push toward mobile platforms, saying that the Web as we know it is "dead, dying, will be dying." And with Keith's track record, who are we to argue? Judge Rakoff has presided over some of the largest and most consequential litigation of the last decade, including litigation surrounding Bernie Madoff, and a decision rejecting a settlement between the SEC and Citigroup in 2011. 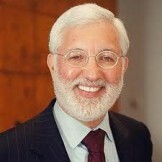 Perhaps because of his “pull no punches” style, he’s been praised by Rolling Stone’s Matt Taibbi as “fast becoming a sort of legal hero of our time.” In addition to his full caseload, Judge Rakoff also is an adjunct professor at Columbia Law School and serves on the governing board of the MacArthur Foundation's Law & Neuroscience Project. One of the biggest trends in legal technology from the last few years has been the move to smartphones — and specifically to iPhones. And the leading iPhone resource for lawyers is iPhone J.D., a blog by New Orleans lawyer Jeff Richardson. This isn't Jeff's full-time job, but for the second year in a row, ABA Journal readers named iPhone J.D. the #1 legal tech blog in America. His reviews are spot-on, timely, and thorough; they run the gamut from new iPhone or iPad models to cases and apps. Quietly, somewhere in the back of Windward Community College at the University of Hawaii, the machines are whirring away, archiving law books for Kathleen Richman. Kathleen is the executive director of Hawaii-based LLMC, a nonprofit library cooperative that scans books to fiche, with twin goals of preserving law books and government documents on film, and making copies available in microfiche, and more recently, online. Many libraries are downsizing their print collections, but that creates a major problem: how do we preserve older, out-of-print law books? With fiche or digital collections, government repositories and law libraries can save space in their physical collections while inexpensively increasing the scope of their holdings. Software is transforming legal practice – but you would never guess that in the halls of many law schools, where legal education teaches many of the same things it did 40 years ago. Tanina Rostain is breaking that mold at Georgetown. In 2012, Tanina and fellow Fastcase 50 honoree Roger Skalbeck hosted the first “Iron Tech Lawyer Competition,” in which students in their Technology, Innovation, and Law Practice class designed software to address legal needs cost-effectively. 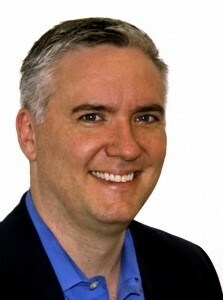 Ed Scanlan is one of the founders of Total Attorneys, a software platform used by thousands of small law firms nationwide togrow and manage their practices. Ed managed Total Attorneys to be one of the fastest-growing software companies of any kind, especially among legal technology providers. But he hasn’t rested on his laurels, presiding over a change in Total Attorneys’ business model from a subscription service to a platform available for just $1 per month. Justice Louis Brandeis said that “Sunlight is the best disinfectant,” and Sarah Schacht is bringing the sunshine to legislative information. When she realized that nonprofits, citizens, and policymakers were all having separate conversations about opening government information, she convened Open Gov West, a way to get them all in the same conversation. As the Founder of Knowledge as Power, she is using technology to help people become better, more educated citizens, and legislators to become more accountable and effective. 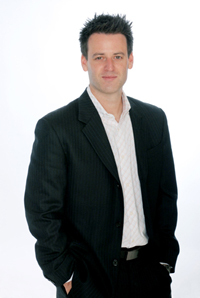 David Schnurman is the founder of online CLE provider Lawline, as well as a television host and serial entrepreneur. Earlier this year, Lawline did one of the most terrifying things a CLE provider can: he opened the catalog for free online (in order to get certification and credit, users must pay after they have viewed the course). This new freemium business model may democratize legal education, while inducing lawyers to complete and pay for only the best CLE courses – without paying upfront. 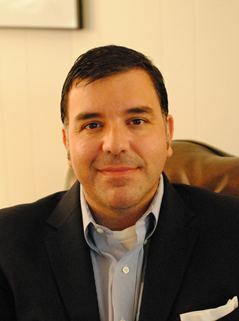 Dan Schwartz is a pioneer in topical blogging for lawyers and the author of the Connecticut Employment Law Blog, one of the most widely-read legal blogs in the nation. 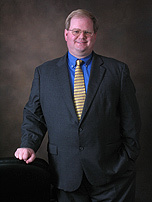 The ABA Journal has cited Dan’s blog as one of the top “100 blogs produced by lawyers” in 2009, 2010 and 2011. Justice Leah Ward Sears is an appellate litigator who specializes in high-stakes cases. She has some experience in the field, as she most recently served as Chief Justice of the Georgia Supreme Court. Atlanta Mayor Andrew Young first appointed her to serve as a judge in city traffic court in 1985, but quickly rose through the ranks to become a Superior Court judge in 1988 and a Supreme Court Justice in 1992. She was the first African-American woman to serve as a Superior Court judge, and the first woman and youngest person to serve on the Supreme Court. In 2004, she was re-elected to the Court, and became Chief Justice in 2005. When Steve Jobs introduced the iPhone in 2007, he famously said that Apple had filed for 200 different patents for the device. And in 2009, Apple hired Intel General Counsel Bruce Sewel to enforce them. Today, Sewel and Apple are engaged in high-stakes litigation on multiple fronts, against Samsung, HTC, Motorola (now owned by Google), and many others. 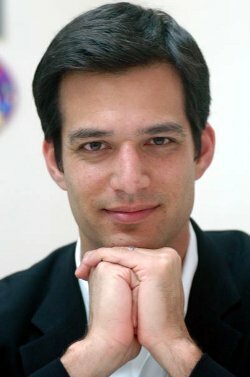 While at Intel, he was instrumental in persuading Apple to use Intel chips in their computers. 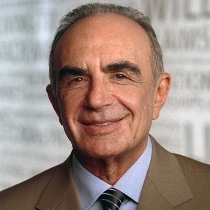 Robert Shapiro is in the middle of a pretty amazing second act. Known as a lawyer to celebrities such as Johnny Carson, Jose Canseco, and the Kardashians (to say nothing of O.J. Simpson), Robert Shapiro has been even more visible recently as the co-founder and public face of LegalZoom, the document assembly service that is commoditizing routine legal work. Roger is a digital “maker,” building apps and software that are pioneering in legal information systems. Together with fellow Fastcase 50 awardee Jason Eiseman, Roger also conducts an annual ranking of the top 200 law school home pages. This year, Roger co-hosted the first “Iron Tech Lawyer Competition,” as part of the Technology, Innovation, and Law Practice class at Georgetown Law (which he teaches with FC50 winner Tanina Rostain), in which students competed to build applications that expand access to justice. How do you preserve the integrity of a 210 year-old law library (one of the nation’s oldest), while making it a vibrant part of the legal community? This is the unique challenge that Regina Smith has faced with her overhaul of Jenkins Law Library in Philadelphia. She and her team have preserved the character of America’s First Law Library while modernizing it for the 21st Century. 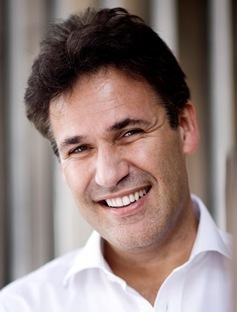 William Gibson once said, “The future is already here – it’s just not very evenly distributed.” He may well have been talking about Richard Susskind, who appears to be already living there and waiting for the rest of the legal industry. 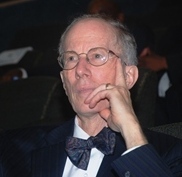 His books on the impact of informationtechnology have influenced public policy, legal service industry, and a generation of lawyers around the world. Richard challenges the legal industry to rethink the way we’ve practiced law and explains how the market pull towards the commoditization of legal services and the pervasive development and uptake of new and disruptive legal technologies is shaping the profession. Reid Trautz is busy. The former practicing lawyer now consults with others, helping them manage their practices better. He also helps plan and program ABA Techshow, the annual confab of legal technology in Chicago. Oh yeah, and he also helps direct the Practice & Professionalism Center at the American Immigration Lawyers Association. He’s a nationally recognized leader in law and technology as well as a contributing author to the ABA book Flying Solo, and the creator of “ReidMyBlog!”. 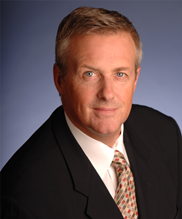 John Tredennick has spent 20+ years in the trenches of litigation and technology issues. John has a wealth of vantage points from his time as a trial lawyer and litigation partner at Holland & Hart and as chair of the ABA’s Law Practice Management Section. John saw a problem and used technology to solve the issue for his firm, then created a company where those products were used by many of the world’s largest organizations including 5 of the world’s top 10 companies and 60 of the AmLaw 100 firms. 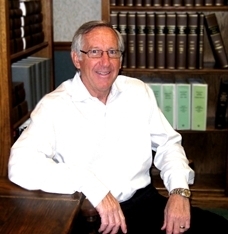 Before founding the multi-language e-discovery platform Catalyst Repository Systems, in 2000, John founded and was an editor of the ABA Webzine “Law Practice Today” that keeps today’s professionals informed of the latest news and best practices in legal technology. 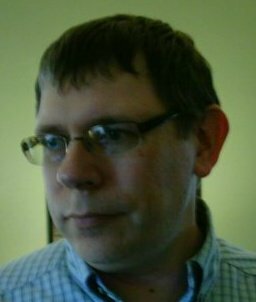 Todd founded Legal XML, the international standards body for legal information, and he has been working on automated court filing systems in Georgia since before anyone even knew what that was. 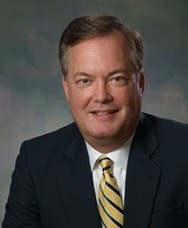 He is a lawyer and consultant for Georgia State University and the Georgia Courts Automation Commission. He has been building integrated E-Filing systems in Georgia that have been a model for the rest of the country. Jason Wilson is one of the leading analysts of the legal publishing industry and has spent most of his legal career as VP of Jones McClure. He is one of the smartest and most entertaining writers about law and technology – he’s not afraid to drop a well-placed f-bomb when necessary. Jason is the author andthinker behind Rethinck.com and a contributing columnist on Slaw.ca. Jason works and thinks about the transition from print to digital, and is an advocate for maintaining the integrity of legal scholarship during that transition.